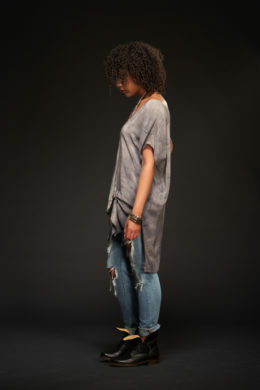 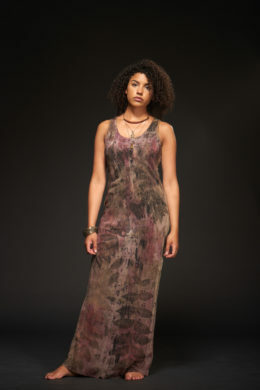 The Caroline V-neck Dress is made from a super soft and fluid silk fabric. 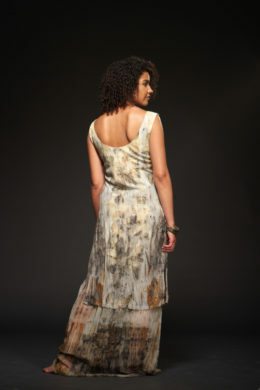 It is handmade and hand dyed, naturally, with rust and tea leaves. 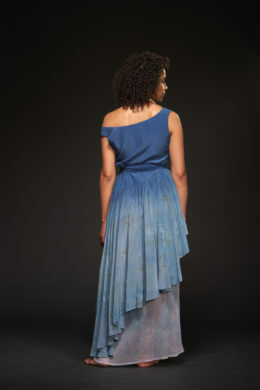 The Garden Maxi sports an extremely flattering crew neck and is finished with a bias cut, making it flattering on all body types. 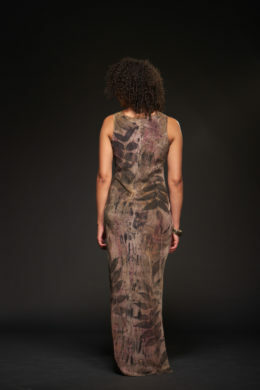 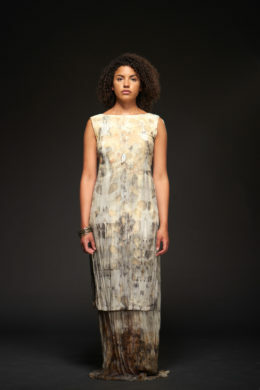 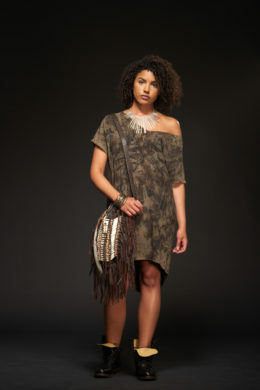 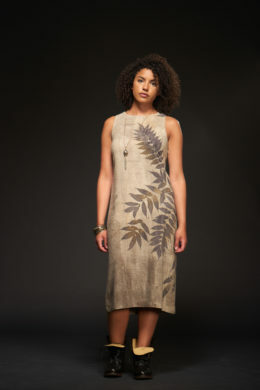 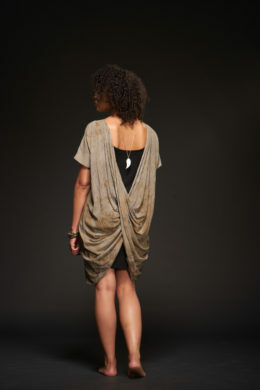 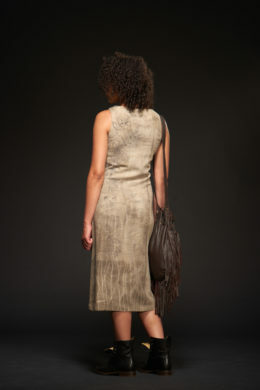 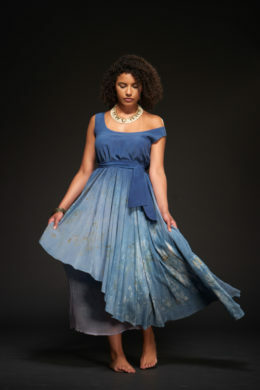 The Garden dress is handmade and naturally hand dyed with a wide variety of leaves. 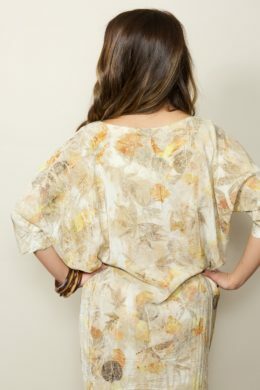 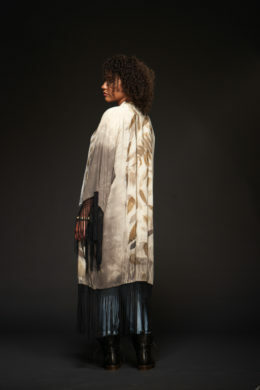 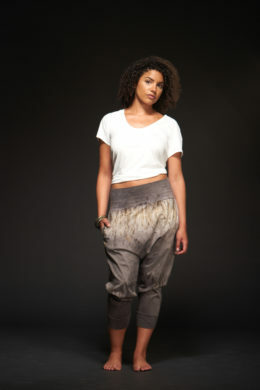 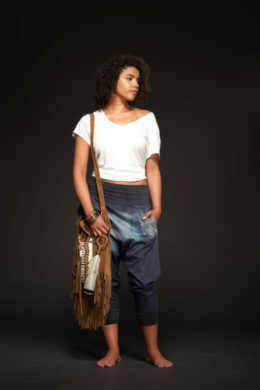 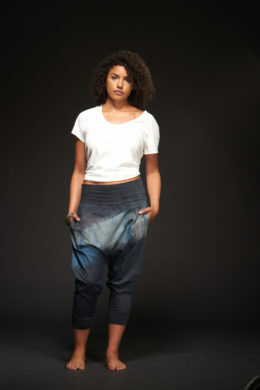 Crafted in our popular soft silk fabric and finished with a second layer made from a very light chiffon fabric. 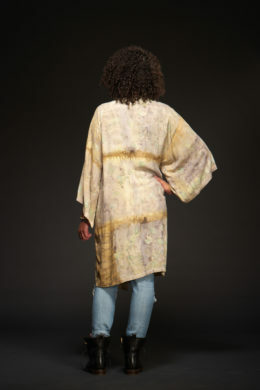 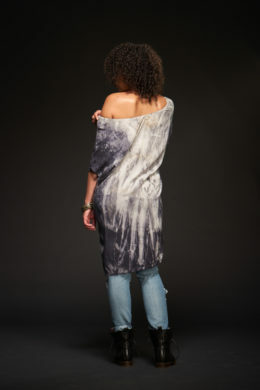 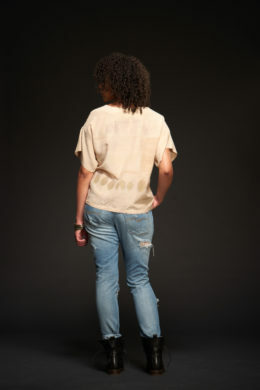 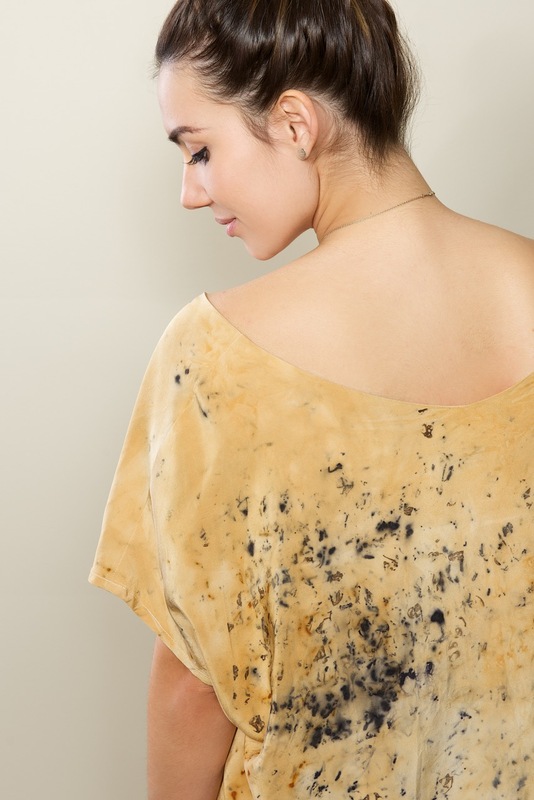 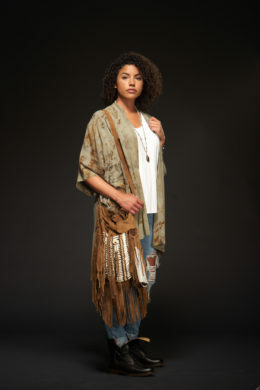 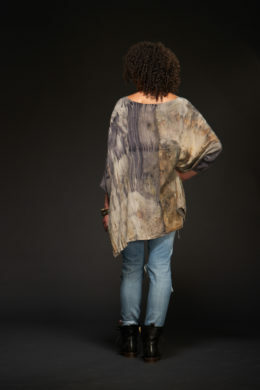 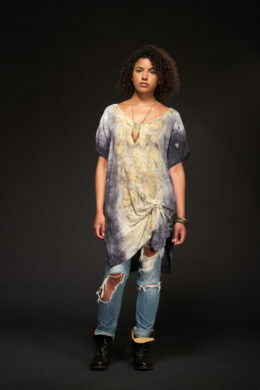 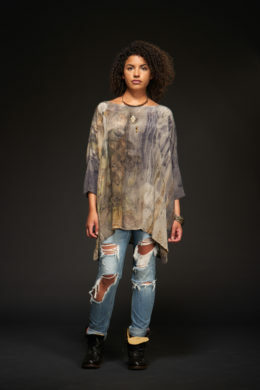 Material: 100% Silk Made in Canada Care Instruction: Natural dyes respond best to hand washing in cold water, hang to dry Please note as this garment is hand dyed, the print may slightly vary from piece to piece. 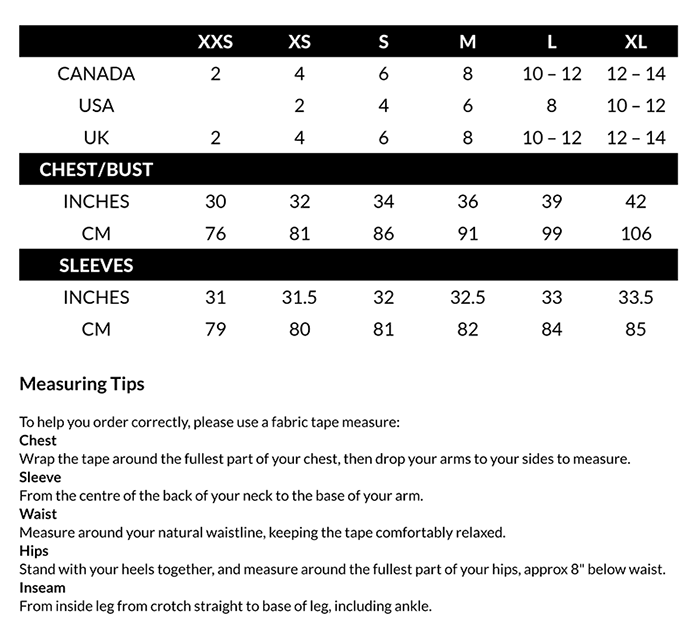 Should you require any assistance with this, please do not hesitate to contact us.